Target‘s new bedding, the Metro Collection is a collection of fabrics and patterns in black and white. Right up my alley. 🙂 I do wish the Metro Matelasse Coverlet and Sham Set were sold seperately. I love those shams. 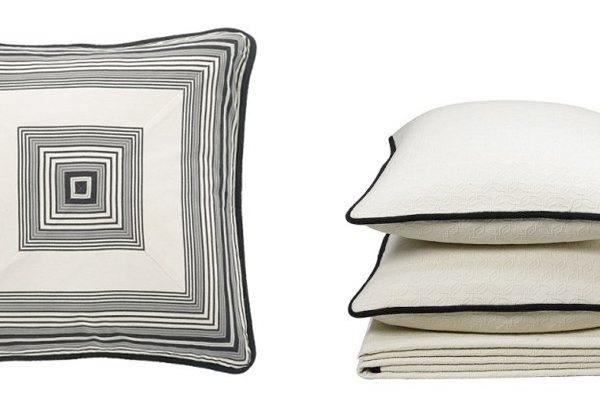 Metro Pillow, $24.99 and Metro Coverlet and Sham, $99-109.